Jason joined the Financial Design Group in Toledo as Managing Director in January 2012. Prior to joining FDG Jason was a Senior Manager with Ernst & Youngs Transaction Advisory Services practice in Chicago, IL, where he helped Private Equity and Corporate clients achieve their strategic goals through both acquisitions and divestitures. Jason started his career in Ernst & Youngs Assurance & Advisory practice in Pittsburgh, PA before moving to Chicago, IL to join the Transaction Advisory Services practice. During his six years in Transaction Advisory Services Jason advised clients on over 25 successful acquisitions of target companies with revenue ranging from $10MM to $100MM. It was during that time that Jason acquired his background in finance advising clients through the financial due diligence process focusing on a companys quality of earnings, revenue trends, cost structure, operating expenses, historical balance sheets and forecasted earnings. Jason has significant experience in carve-out transactions on both the buy and sell side, focusing on stand-alone cost structures, allocated/replacement costs on a stand-alone basis, carve-out financial statement preparation and key analysis preparation for dissemination to potential buyers. In addition, Jason advised several SEC registered companies on the potential carve-out of select business units each with over $1 Billion in worldwide sales. Jason also maintains his Certified Public Accountant License. As Executive Vice President, Jason manages the recruiting, production and supervision of all FDG associates. He also oversees and coordinates the education and development of all FDG representatives and staff. 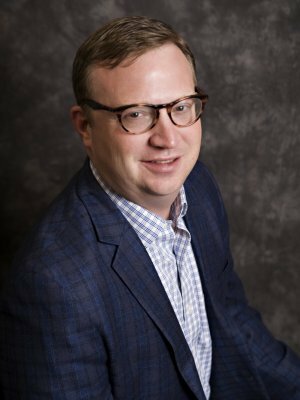 Jason is a Registered Representative and Investment Advisor Representative of Securian Financial Services, Inc.
Jason has a Bachelors degree in Finance and Marketing from Bowling Green State University and a Masters of Accountancy from the University of Notre Dame. While at Bowling Green State University, Jason was a four year letter winner in football. In his spare time, Jason likes to play golf, read and spend time with his family. Along with his wife, Tracy and children Olivia and Thomas, Jason is a resident of Sylvania, OH. Jason does not offer specific tax advice. Clients should consult their own tax advisor regarding their own tax situation.